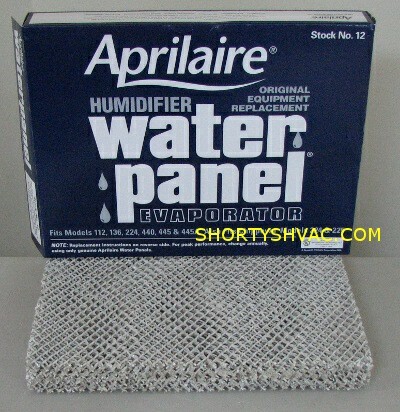 Humidifier pad that fits these Aprilaire humidifier models 112, 224, 440, 445, 445A, and 136. Genuine OEM Aprilaire parts with free shipping for a limited time only. Shipping rate for the continental United States. If you're bordering or live in Canada, please contact us for shipping rates.